يقع فندق YHA Kaikoura، المصمم ليناسب كل الضيوف سواء كانوا من رجال الأعمال أو السياح، في مكان ممتاز في أحد أكثر المناطق تفضيلاً في كايكورا. يمكن من هنا للضيوف الاستمتاع بسهولة الوصول إلى كل ما تقدمه هذه المدينة النابضة بالحياة. بالنسبة لمن يريد الخروج، هذه بعض المعالم السياحية المتوفرة للزوار Art & Design Gallery, دولفن انكاونتر, دايف كايكورا. يعمل YHA Kaikoura على ضمان إقامة مريحة لضيوفه من خلال خدماته الممتازة وحسن ضيافته. يمكن لضيوف الفندق الاستمتاع بالميزات التالية على أرض الفندق: مرافق مخصصة لذوي الاحتياجات الخاصة, Wi-Fi في المناطق العامة, ركن للسيارات, جولات, خدمة غسيل الملابس . بالإضافة لهذا,تتضمن كل غرف الضيوف مجموعة واسعة من وسائل الراحة . بعض الغرف توفر حتى الاتصال بشبكة الإنترنت (لاسلكي), غرف لغير المدخنين, تدفئة, مكتب, دش لإرضاء أكثر الضيوف تطلباً. كما أن مجموعة الخدمات الواسعة الموجودة في الفندق لضمان راحتك تترك لك الكثير من الخيارات لقضاء وقتك أثناء فترة إقامتك. اكتشف مزيجاً ساحراً من الخدمة الاحترافية والخيارات الواسعة من وسائل الراحة والمتعة في YHA Kaikoura. The staffs are very friendly and helpful. The room was small but very clean and neat. Also, it has a very nice sea view right infront of the Hotel. Worth the money. The hostel was very clean and had amazing views. The only downside is that it is about a 30-min walk to town; however, it is a really nice walk along the water. 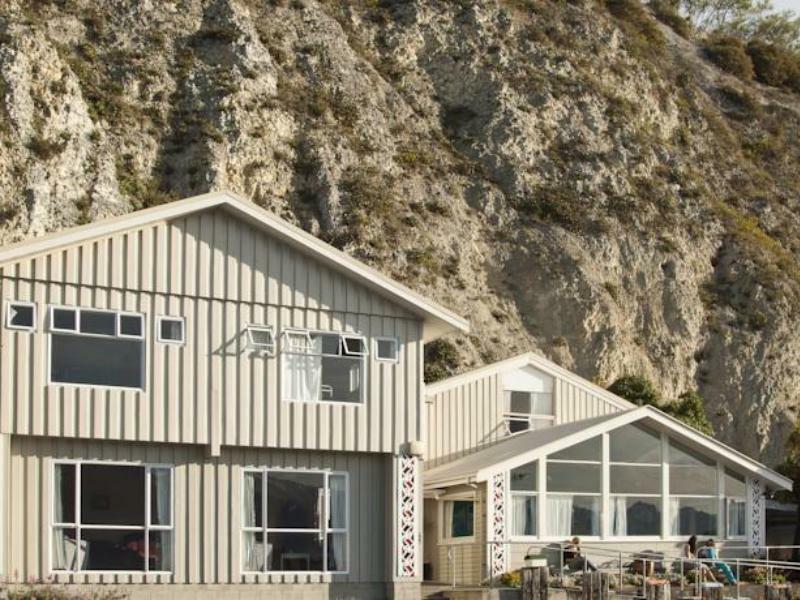 It is very convenient if you travel to Kaikoura by Intercity bus as they have a Kaikoura YHA stop (be sure to request YHA stop when booking bus ticket). Would gladly stay there again if I visit as I didn't mind the walk into town. pretty near to seal point where you can have close interact with them. We stayed here for one night and it was very plasant. The rooms and bathrooms were very clean. We got the room with the best blie water and snow capped mountain view. It was amazing! It is located towards the end of the road but the drive out to the town is not a far one maybe about 5 mins drive. Location is great, facing the sea. Shared kitchen is good. Staff is okay. Okay. But I wish they have private ensuite room. Took a break here during my backpacking trip and I stayed for the view. It was a good choice. You can never get any similar location like this, next to a great sea-view. Parking is free, great wifi option...just great. Only problem is that its a little too far from any shops - at least 20 minutes walk each way. clean . convenient. nice view. Everything was fine. The kitchen was great. However there could be more bathrooms. I love that wonderful view. Had peaceful night of stay as Kaikoura was a quiet and serene town. YHA close to the Seal Colony and the Peninsula track. Easy access to restaurants. No fuss accommodation for traveler on budget and looking for a place to sleep. We had a nice stay in YHA - it was close to all attractions and walking routes. Room was comfortable with shared bathroom facilities. Kitchen was well equipped with everything you needed. Cheap price,female room, good kitchen. This hotel is a very good location and view. It is near the fur seal colony. You can ride from hotel to the shopping area and the fur seal colony around 5 kilometers each. I liked the hotel and friendly staffs.